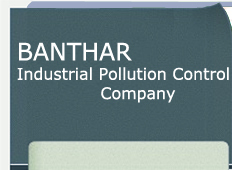 CETP Banthar under Banthar Industrial Pollution Control Company: BIPCC, is a section 25 company constituted for the main objective of prevention and control of pollution in the leather processing sector to mainly set-up a CETP & SLF as per the scheme of UPSIDC at Leather Technology Park Banthar in district Unnao, U.P. And CETP was developed & commissioned on October 2004, under CIB/ASIDE scheme in the supervision and control of UPSIDC. 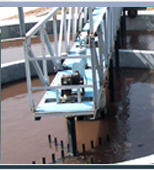 1- BIPCC installed a Common Effluent Treatment Plant (CETP) of 4.5 MLD capacities in the area of 13 acre inside U.P. State Industrial Development Corporation, Leather Technology Park and also operating &maintaining it to help the entire user tanning industries connected to this project. Currently 25 tanning & allied units are operational and discharging about 2.9 MLD primarily treated effluent into CETP for final treatment here. Rest 17 units are under construction and some of them are doing dry works only and thus not discharging effluents. They are likely to be operational soon. 2- The Common Hazardous Waste Disposal Facility( CHWDF) commonly known as SLF project was sanctioned by GOI, DIPP under IIUS on 29th March 2005. This project is developed by SPV Leather i.e. IIS(India) where many Board members are from the Board of BIPCC , and running the SLF too successfully since October 2008.
a- BIPCC has also provided design consultancy to a big ETP of a big group at Kazakhstan without taking any fee to promote environment friendly concept. b- BIPCC also provided technical consultancy for a CETP to Jammu & Kashmir Government( J&K SIDCO Sringar) which is operational there. To promulgate the sustainable industrial development with environment friendly technologies of tanning process, we have been helping various research students from various engineering & scientific universities in helping them during their masters & doctoral training programmes. To promulgate the sustainable industrial development with environment friendly technologies of tanning process, BIPCC also conducted a training program under HRD mission of Govt. of India with the assistance of CLRI. This training programme was specifically designed for working managers, supervisors and entrepreneurs of leather processing sector and also for the new generation students who are willing to work in the leather tanneries or in the related fields of prevention & control of pollution.